Have you met Pusheen the cat? This adorable little cartoon cat seems to be everywhere you turn. She has over nine million followers on Facebook alone and her cute how-to webcomic brings brightness and chuckles to all that see them. She has lots of different personalities including Pusheenosaurus. Dex was sent a Pusheenosaurus to love and cuddle and he adores it. Pusheen takes many guises including a unicorn, mermaid and detective, but we love the dinosaur. The toy is soft and extremely cuddly which is everything a one year old wants. 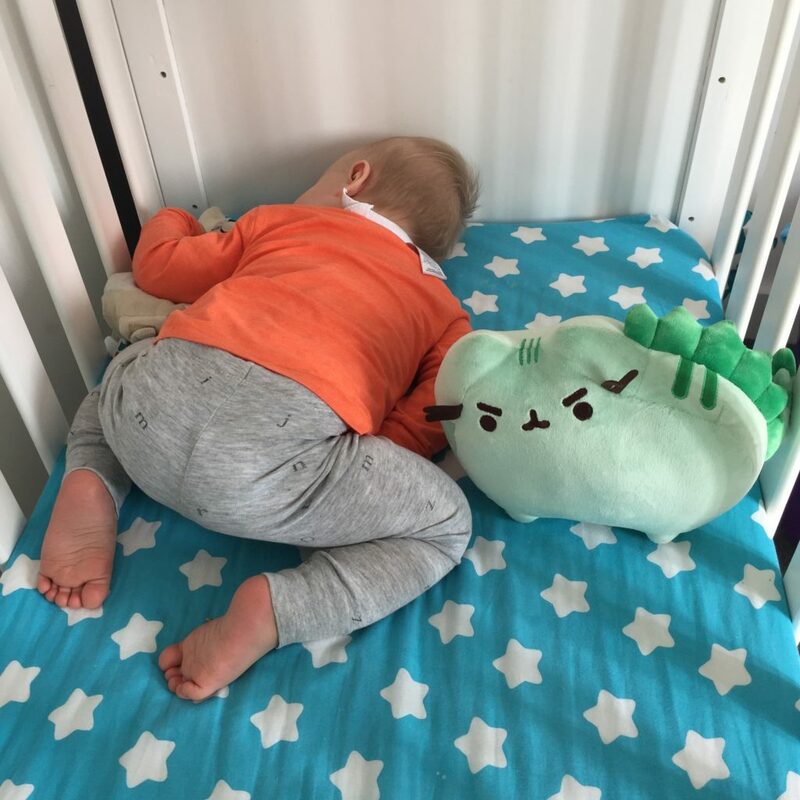 Dex is at that age where he needs a comforter to help him sleep and Pusheenosaurus is a welcome addition to his cot. The quality of the toy is second to none, it has been lovingly crafted and is extremely new eye catching. Dex is pretty obsessed with Pusheen’s eyelashes and her bright green dinosaur tail. The Pusheen range is available to buy from GUND. Check out their site to find lots of soft toys. GUND was founded in 1898 and are the oldest and most prestigious toy company in America. As well as their wide range of Pusheen soft toys, they also have a great range of Peter Rabbit toys which I know are very popular in the UK with little boys and girls. You can follow Pusheen on Facebook or check out her blog here. Disclaimer: We were sent a Pusheenosaurus toy in return for this blog post. All opinions are my own. Thank you for making me aware of that this little dudes name was! As you know I’m a big cat fan, I purchased one eating a cookie for one of my dear friends at the weekend! 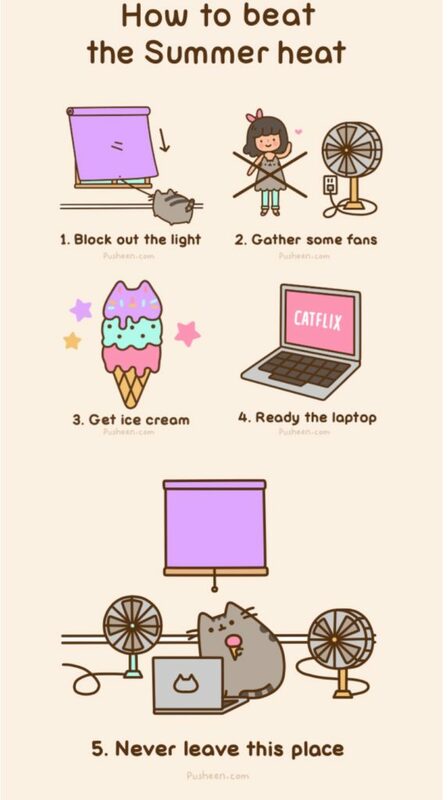 I didn’t realise that cat was called Pusheen!! Lucky Dex with his new toy, I’m not surprised the eyelashes are a hit, they would be here too!! 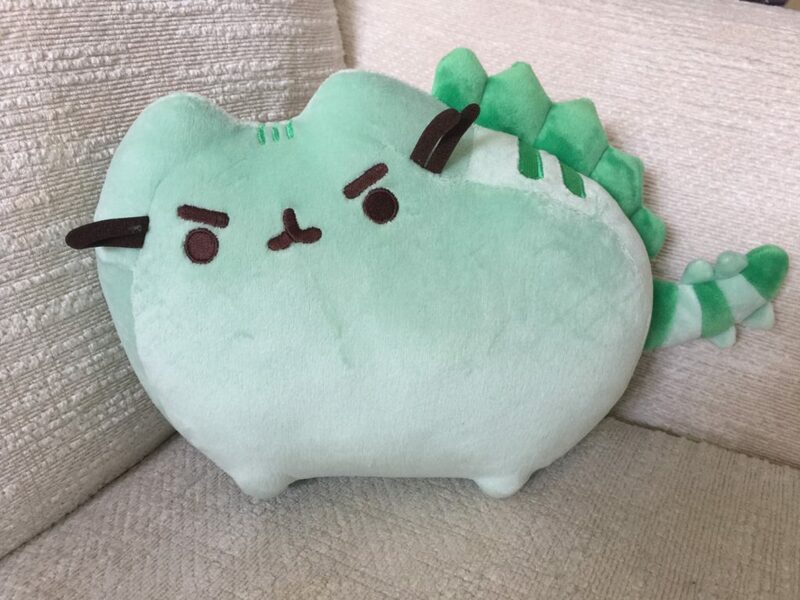 This plushie is so cute!